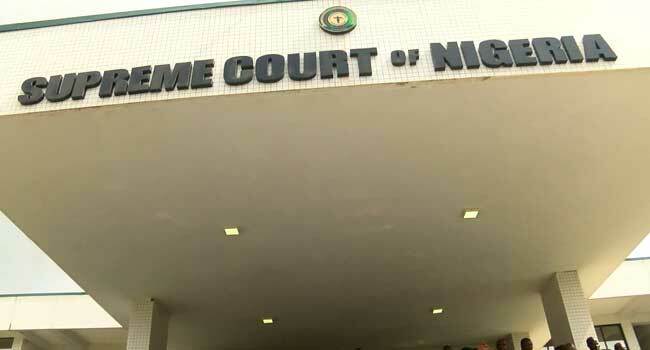 The Supreme Court on Friday set aside the judgement of the appeal court in 2016 on the discontinuation of the case on the leadership tussle in the Nigeria Football Federation. A five-man panel of the country’s top court led by the Chief Justice of Nigeria, Justice Walter Onnoghen, unanimously set aside the judgment of the Court of Appeal in Jos. The appeal court had held that the case could no longer be relisted before the Federal High Court having been earlier withdrawn by the appellants. In setting the judgement aside, the Supreme Court, however, declined to make any pronouncement on the suit seeking the sacking of the Amaju Pinnick-led Executive Committee of the Nigeria Football Federation. The appellants led by Chris Giwa had asked the Supreme Court to evoke its powers to hear the suit on its merit as a first court of instance and decide the case. But the apex court ruled that they (the appellant) did not meet the condition required for it to invoke its powers on the appellant’s behalf. The Supreme Court instead sent the case back to the Federal High Court sitting in Jos, Plateau State, where the trial started in 2014. The apex court also ordered the Federal High Court to give it accelerated hearing. The appellant had approached the FHC on September 19, 2014 arguing that the Pinnick-led executive was not the authentic NFF executive elected on August 26, 2014. The defendants to the suit at the time it was filed were the immediate past executive committee of the NFF represented by its President, Alhaji Aminu Maigari, and Musa Adamu, the Plateau State Football Association representing the football association in the 36 states of the federation, the Federal Capital Territory, and the Minister of Sports.